Shadow of Night picks up right where A Discovery of Witches left off. Diana Bishop and Matthew Clairmont, a witch historian and vampire geneticist respectively, have timewalked to Elizabethan England on their hunt for a magical alchemical manuscript, Ashmole 782—its sudden appearance and sudden disappearance have upended the delicately ordered world of magical creatures (witches, vampires, and daemons), threatening to unleash unprecedented metaphysical chaos. Though Diana and Matthew have escaped the threats of the present, they soon find the past holds its own challenges—Diana must find a witch to continue her magical education, a task made difficult by a rash of witch hunts across the British Isles. And Matthew finds himself back in a life he thought he left behind, reuniting with friends and family that had long been reduced to memory, opening wounds he thought had healed. Some of those friends comprise the infamous School of Night, a coterie of visionaries that includes Christopher Marlowe and Sir Walter Raleigh. 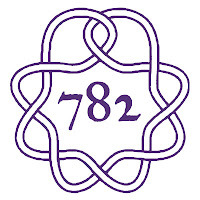 Together, Matthew and Diana must navigate the new dangers of an old century—bringing them closer and closer to solving the mystery of Ashmole 782. 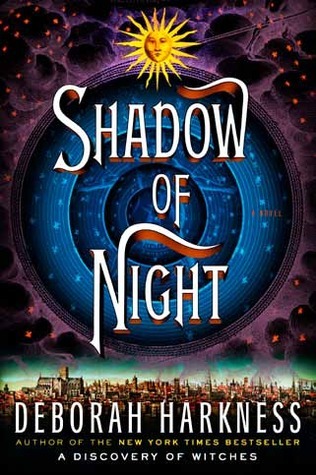 NOTE: Shadow of Night picks up immediately after the first title, A Discovery of Witches, ends (seriously, it was a cliffhanger, and I was ecstatic that I had the second title at the ready). So, yes. Read the first book of the trilogy. Have the second on stand-by so you can immediately pick it up and begin reading where the first book leaves off! Consider yourself warned! As A Discovery of Witches draws to a close, our hero, Matthew, and heroine, Diana, are preparing for a journey. Shadow of Night begins upon arrival at their destination (See? I’m even keeping the review spoiler-free for the first book!). This is where I started to **squee** like a fan-girl. Excellent depictions of some major authors of the time as well as mathematicians and scientists. Can I simply state that the first 20ish percent of this book had me riveted! The interactions with Matthew and Diana and the School of Night members were fascinating for me! “Mad, bad, and dangerous to know” described this group perfectly. We hadn’t joined a cozy reunion of friends on Halloween night. We’d fallen into a hornet’s nest of Elizabethan intrigue. Even when forced to change plans, Matthew does so with precision and forethought. Our couple were commanded to return to France, where Matthew would struggle with several issues. However, Diana’s fierce protection and unwavering love for him manages to bind the couple even closer. I really enjoyed the way the relationship between Diana and Matthew’s father evolved. There couldn’t have been any other way to have the two grow together, due to their love of Matthew. While Matthew and Diana had been married prior to their trip at the end of Discovery of Witches, a third marriage ceremony was performed. Ms. Harkness’ scholarly endeavors were definitely revealed as she explained the marriage rituals, including both Christian and Pagan rites, in a flowing, believable manner. Matthew and Diana traveled to a few places, and during their journeys, Diana met a lot of interesting people. Matthew renewed acquaintances. However, Matthew’s possessive nature, much like Edward’s in the Twilight Saga, punctuated these meetings with a certain sense of hostility and discomfort for all parties concerned, as well as the reader. I think this is what propelled me through the story. “Vampires reckon time differently than warmbloods do,” he said, still unwilling to release me. “How long is a vampire minute, then?” I asked, snuggling under his chin. Matthew and Diana also unearthed truths about their relationship, and their place within the grand scheme of things. Their revelations were sometimes so intimate that I felt as though I were trespassing on a private moment. Even after finding a treasure they sought on their journey, these intimate moments were powerful and full of emotion. At the conclusion of Matthew and Diana’s journey, they returned home, to find those they loved waiting. The de Clermonts are ready to face a battle to protect the right to love the ones that have chained themselves to our souls. I look forward to that battle in the next installment of the All Souls Trilogy. GIVEAWAY: Viking/Penguin Publishing is sponsoring an awesome giveaway to celebrate the release of Shadow of Night. 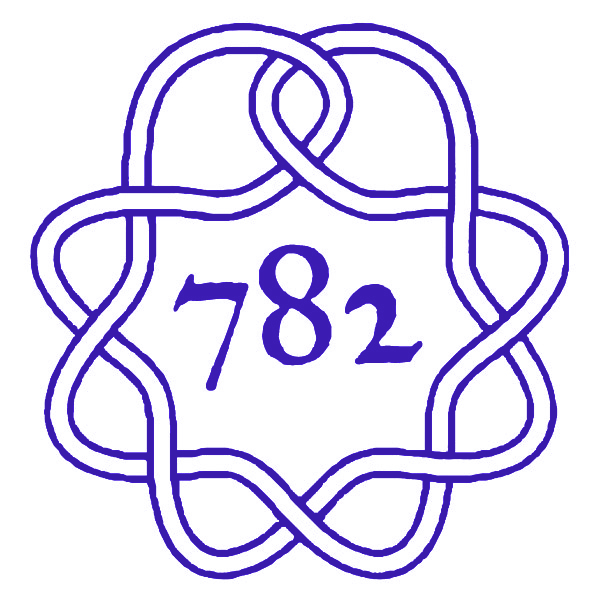 They are offering a specially designed “Ashmole 782” temporary tattoo and a set of 6 buttons, along with a finished copy of Deborah Harkness’s new release, Shadow of Night. The buttons each display a different alchemical symbol; readers will discover their meaning as they read the new novel. To enter, please leave a comment below and include your email address if it is not part of your profile. While you do not have to be a Google Friend Connect to enter, it is appreciated. The winner is restricted to US mailing addresses only. Contest is open from July 16 until July 20, 2012 at 10:00 PM EDT. The winner will be selected from the comment entries using random.org. The prize will be mailed to the winner by the publisher; I am not responsible for items lost in the mail. Thanks for the great review and synopsis. I’m really looking forward to Shadow of Night. I still have to pick up A Discovery of Witches so I’ll be ready to read Shadow of Night. 😀 But I’m looking forward to getting started reading this series, it sounds fantastic. This looks amazing and I’d love to start these! It looks like another good book by Deborah Harkness. Thanks for the giveaway! I’m so excited to read this. Thanks for the giveaway. Oh I am just finishing my re-read of ADOW…can’t wait to read this one!! Thanks for the chance to win it! I absolutely loved A Discovery of Witches and can’t wait to read Shadow of Night! This looks quite interesting! I’m not sure how the timezones line up, but I hope I didn’t miss the deadline!